Product information "Smart Home Kit - Raspberry 1 B+ & Z-Wave Razberry 2 (EU)"
Built your own Smart Home Gateway with the Raspberry 1 B+ and a Z-Wave.Me Razberry module! 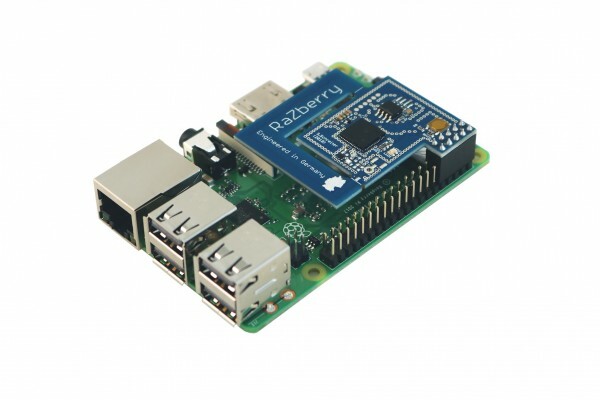 This package includes the Raspberry Pi 1 B+ and the Razberry module. It is only available as long as stock lasts! For more information about the Razbery module please follow the link. Note: This package is a softbundle and does not include an own packaging for the Kit. Both products are shipped in their original packaging. Related links to "Smart Home Kit - Raspberry 1 B+ & Z-Wave Razberry 2 (EU)"